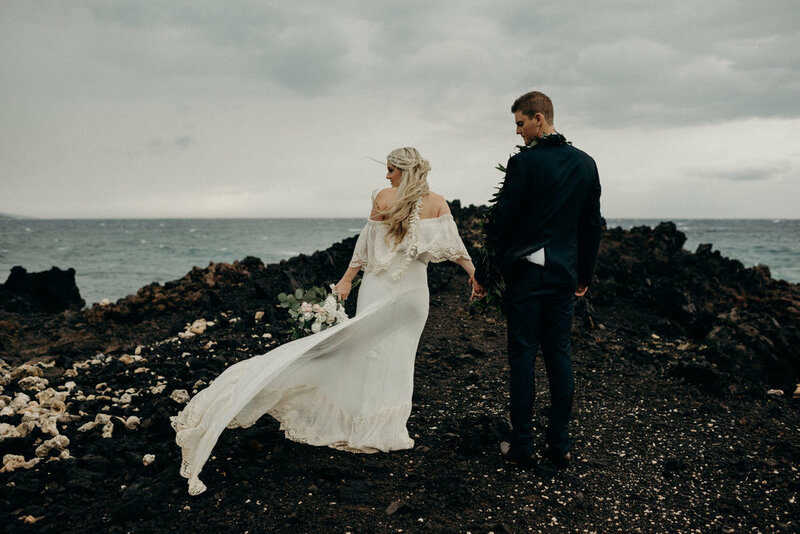 Being a destination wedding photographer on the magical island of Maui is a dream come true. Adventuring in nature is where I find joy and inspiration. To be able to incorporate my passion for the environment into my photography career is such a blessing. I absolutely love sharing special places with my clients and watching their jaws drop at the beauty. It means so much to me that you enjoy the experience. You're not just checking off your to-do list. You're having a fun adventure with your loved one (and me!) in one of the most magical parts of the world. When I became a photographer I knew that I wanted to utilize my passion to make a positive impact in the world. Throughout my career I have volunteered for non-profits, photographed children with disabilities, babies in the NICU, and animal sanctuaries. But I want to do more. I want to have a greater impact on our beautiful planet. Nature is where I find my peace, joy and inspiration. I want my business to reflect my passion for the environment. I am very excited about my partnership with Eden Reforestation Projects. Eden reduces extreme poverty and restores healthy forests in Haiti, Madagascar, Ethiopia, and Nepal by employing local villagers to plant millions of trees every year. Fifty trees are planted for every shoot booked with Naomi Levit Photography. unlimited planning assistance which includes location suggestions, vendor recommendations, timeline, etc. For those that enjoy exploring off the beaten path locations. Includes a little hiking to find the magical spot! To celebrate your recent engagement or to honor your love for each other. For easy access locations like the beach! This is a one hour session in one location.